You know the story: hometown hero takes the local team on his back, fills the stadium, pulls out victories, and propels the squad to new heights. That was the Tim Tebow story last year in Denver, but it wasn't good enough for the hometown team. The 2-11 Jaguars could have had him too...twice. They could've gotten him from Denver in the offseason if they ponied up anything more than the 4th & 6th round picks the Jets did. Then during the season, they probably could've gotten him wholesale at the trade deadline. You wonder what the downside would be for the Jags, unless they've decided what 31 other NFL teams including the Jets have, that Tebow can't play QB at this level. The Jets' acquisition of Tebow has been a non-starter, as he has been. And it's not that Mark Sanchez or the Jets offense couldn't have used his jolt of energy. But ultimately, even at 6-7, the Jets must have decided that the plusses will never outweigh the minuses in replacing Sanchez with Tebow. And at 6-7, the Jets aren't quite done. They've backed into the playoffs before, and all the way to the AFC Championship game. The two wins since the rock-bottom Thanksgiving night effort haven't been things of beauty: a 7-6 win vs Arizona and a 17-10 snoozer at Jacksonville. Sanchez was just barely above flatline, passing for 111 yards, though 37 of them were on a crucial 3rd & 8, late. 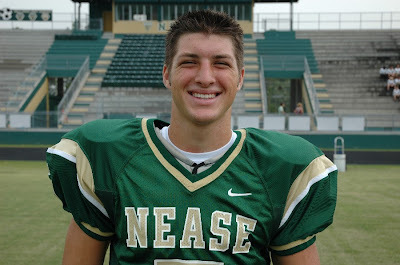 Tebow never got off the sideline even in his hometown. Can conspiracy theorists run with this? Could Jacksonville purposefully be tanking interest in the team? Will Shahid Khan move the team after all? Or is it merely a football decision not to go for Tebow? They wouldn't be alone.